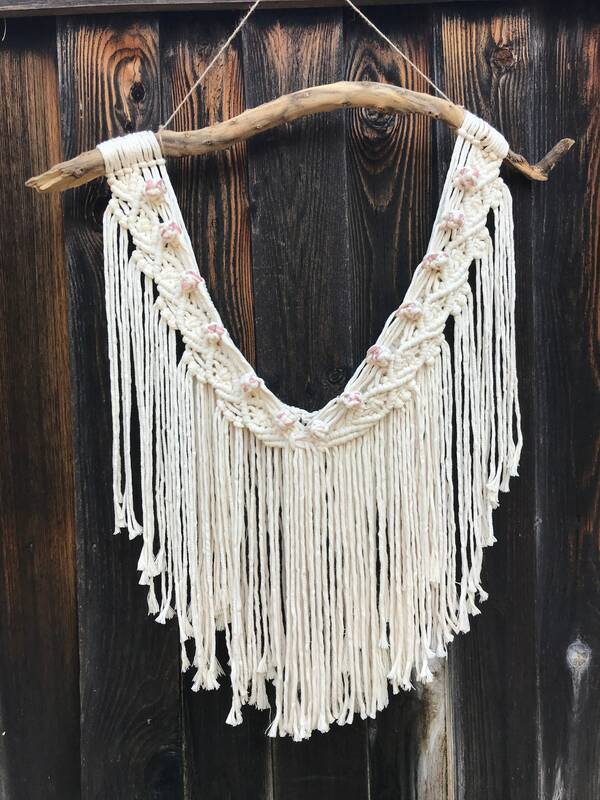 This is the perfect bohemian piece to add a little delicate charm to your home. 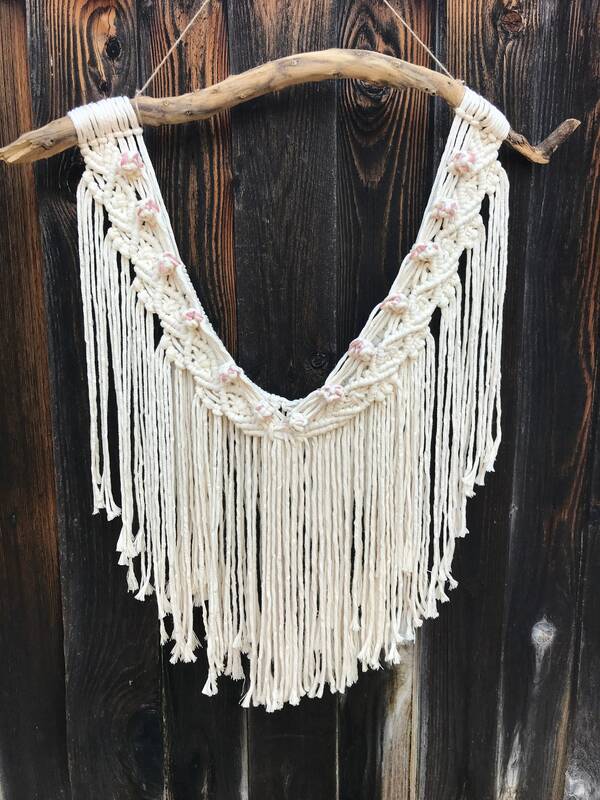 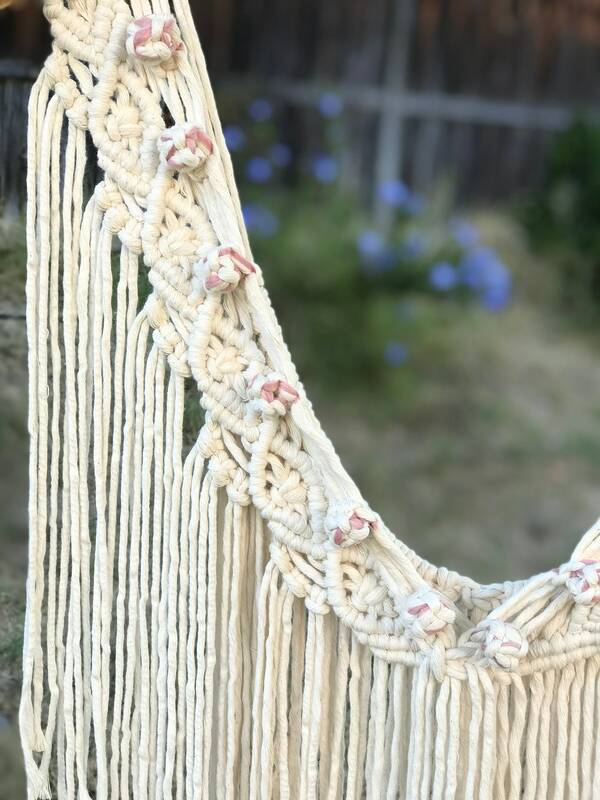 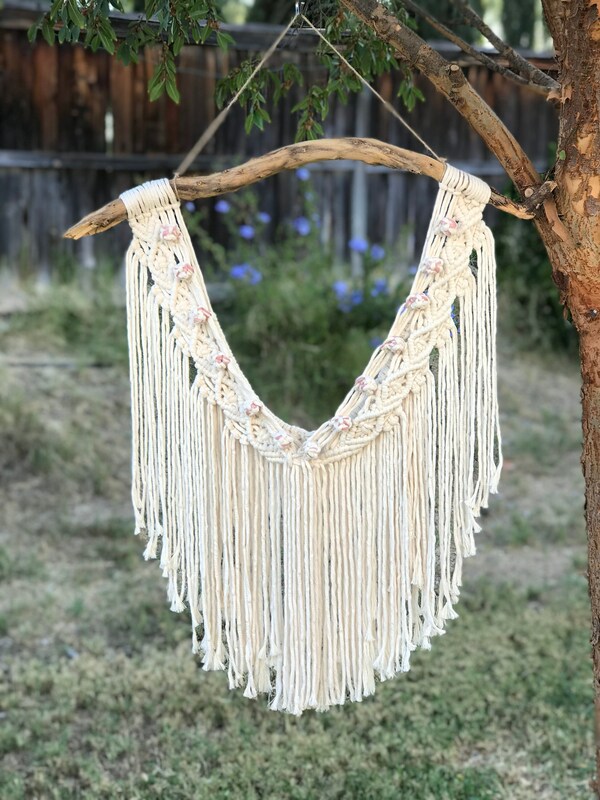 This handmade macrame wall hanging is made of 100% natural cotton rope with lots of fringe and hung on a gorgeous, unique branch. 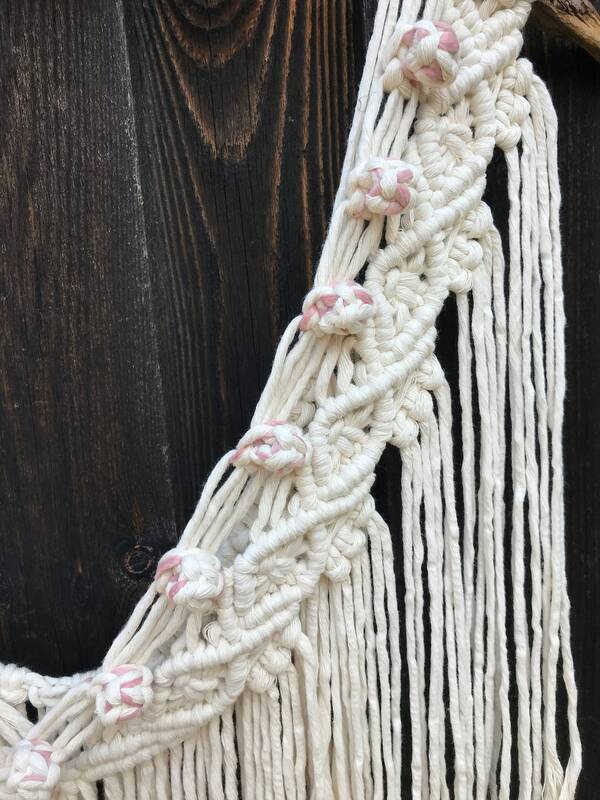 It has touches of a beautiful soft pink woven in to the knots. 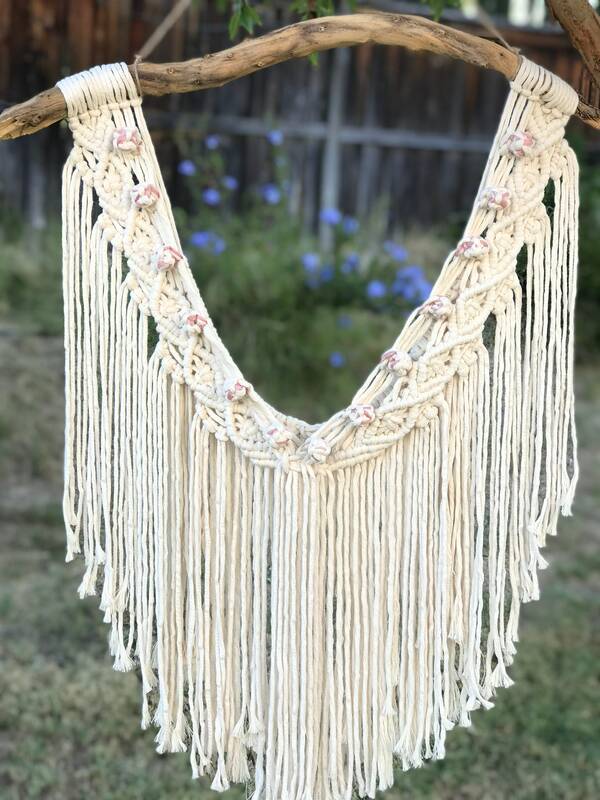 It measures 25 inches wide and 31 inches long.